Both points in the same position. And here is no error. That’s correct behaviour. I think you are trying to use the tool in not appropriate way. If you need point on the start and the end of arc all you need is to know a radius and start and finish angles. Use this knowledge and find points with tool Point at distance and angle. my installed version 0.5.0 shows like this. So, the points A1&A2 may also behave in the opposite. Ok, I just have to use the point at a distance and angle tool in this case. Do you know that Monday is day of releasing new test build? Also that you are using a test build. Thanks for the information. OK, i understand. hi @kmf, i’ve just read about your concern which could be similar to this about two solutions for axis intersection with arc. 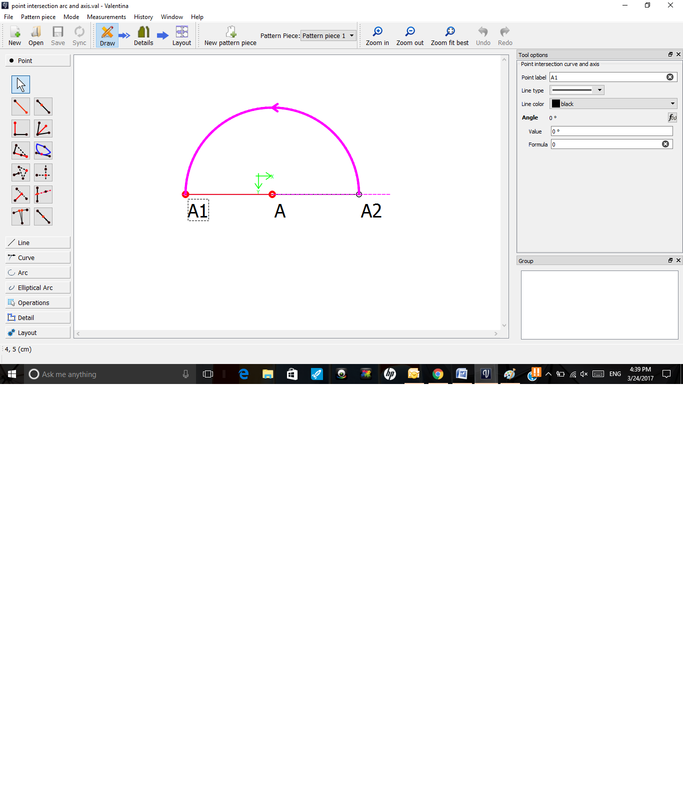 i just avoided this tool and use point at a distance(radius) and angle as suggested here. 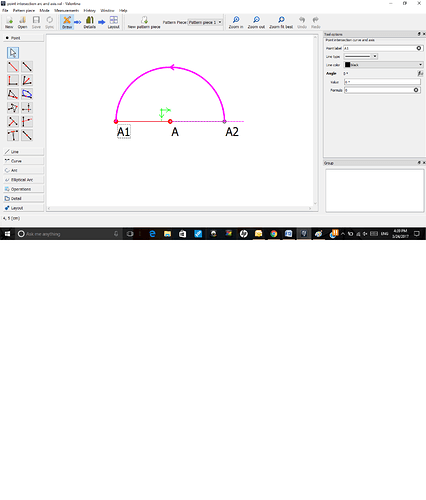 Or, if you can limit the arc less than 180deg to avoid two points intersecting the axis line.